If you are in the market for a freelance blogger, or looking to up your freelance blogging presence, check out these tips! You have created your small business website and expect to benefit from the timeless axiom, “If you build it, they will come.” Unfortunately, the slight derivation of the axiom that served Iowa farmer Ray Kinsella well in the classic movie Field of Dreams does not apply to small business owners who want to attract new customers by creating websites. In fact, many small business owners fall flat on their faces because they neglect the most important facet of creating websites. Small business owners must constantly create compelling content that attracts both potential and loyal customers to their websites. They must assume the role of freelance blogger to ensure their websites rank high in the three primary search engines. Here are some freelance blogger tips to help small business owners who want a blog, but are too embarrassed to admit that they don’t really get it. You don’t have to write like Hemmingway or Faulkner to attract visitors to your website blog posts. What you need to do is help your website visitors solve problems. Ask any successful freelance blogger what makes their blogs tick. You’ll find that most successful freelance bloggers write problem solving content. For example, a landscaper publishes content that provides advice on how to prevent weed growth. Problem solving content helps small business owners build the level of credibility that creates customer trust. Too many small business owners believe they have to write the next War and Peace to produce successful blog posts. What they upload is are lengthy and boring content pieces that cause website visitors to set bounce rate records. Small business owners should take a page out of the best freelance blogger books by publishing concise blog posts that don’t belabor the main points. Website visitors typically skim content quickly and successful freelance bloggers present short content pieces that emphasize one or two points. On the flipside, there has been a recent movement towards longer content pieces. The bottom line is that there is no one-size-fits-all strategy when it comes to content. The successful freelance blogger ensures his or her content is free of spelling and grammar errors. Visitors to your website expect your content to follow basic grammar rules and contain correctly spelled words. Poorly crafted content replete with spelling and grammatical errors indicates that you don’t place importance on quality. After you finish with the rough draft of a blog post, do what the best freelance bloggers do and walk away from the post for a few hours, before coming back to read it with a pair of fresh eyes. Moreover, spell and grammar check your freelance blogger content. A successful freelance blogger is smart enough to know that the idea well dries up from time to time. To compensate from writer’s block and other blogging maladies, recruit guest bloggers to publish content on your website. 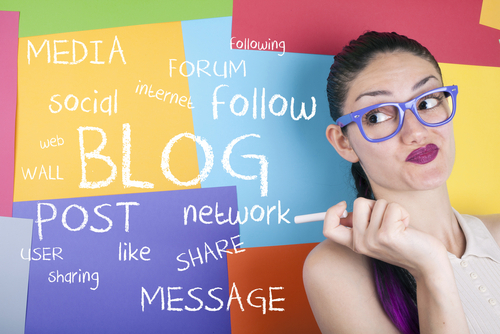 The benefits of publishing other blogger content include a stream of new visitors to your website and expertise about topics that may not be your strong suit. Ask your guest freelance bloggers to reciprocate by allowing you to publish content on their blogs.